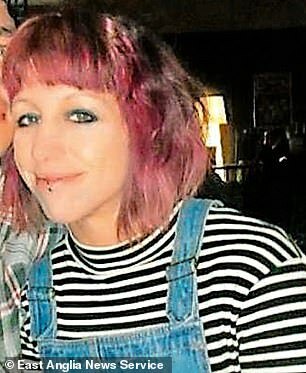 The family of a talented history teacher and mother-of-two who became a fugitive cocaine dealer have said they fear for her life and worry she will become a ‘statistic’. Angela Davey, 38, ended up homeless, on the run from police and suffering a devastating physical decline after her marriage collapsed. 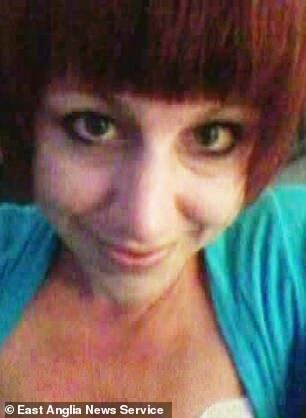 She was pictured in 2014 looking happy and fresh faced as she posed with her family, but by February last year a police mug shot showed her drawn and gaunt as she gazed vacantly at the camera. Drug use left the History graduate unable to keep up her successful life as a teacher at a special school, and in July 2017 she sold her three bedroom, semi-detached house in Norwich and ended up homeless and living in a camper van. Davey was most recently seen last week sleeping in a shop doorway, according to her father, David Wilkes, who made an emotional appeal for her return. ‘We feel she could die, she has become a statistic,’ he said. Davey, who attended £14,562-a-year Norwich High School, is said to have turned to hard drugs after beginning a relationship with a man she met on dating app Tinder. The talented artist was arrested for dealing cocaine last February and posed for a police mugshot, revealing her ravaged and drug addled features. 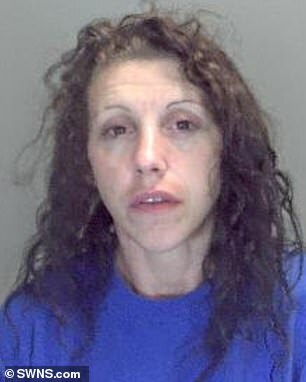 Davey admitted dealing cocaine at a hearing at Norwich Crown Court on October 15 when she was living in a tent, but she then absconded. 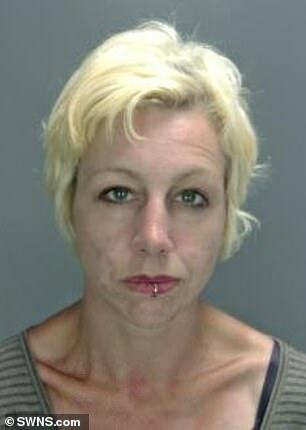 Norfolk Constabulary released her mugshot when she was named as one of the force’s ten most wanted people last November. Davey was still on the run last Monday when three people associated with the gang she had links to were jailed for a total of 11 years. 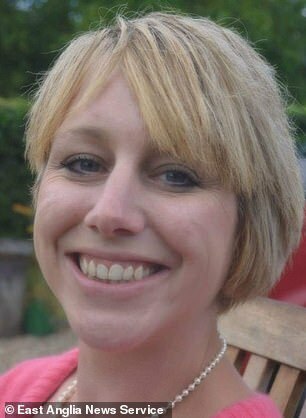 Her father David Wilkes, 65, from Wymondham, Norfolk, pleaded for her to give herself up and receive help. He said: ‘We feel she could die. She is now a statistic. The last time my daughter was seen, she was sleeping in a shop doorway on her own in Norwich last week, but the police can’t find her. ‘From the family’s point of view it is extremely distressing. We feel very much that we are on our own. ‘She is a bright girl and her whole life has been totally destroyed. It is not all of her own doing. She is a victim, and she is not the first. A childhood friend also issued a heartfelt plea for her to give herself up and salvage her life by getting clean of drugs and accepting her sentence. Describing her as ‘bright’ and ‘incredibly intelligent’, the friend said: ‘It is a real waste, an absolute waste. ‘To us she is a very ill, very vulnerable woman who was not brought up into this lifestyle. ‘She was a normal person, a mum, career focused. She was not who you would imagine taking this path in life. The friend added: ‘We see that being in prison could potentially be her only way out of her current situation and her only chance at being well. ‘There are so many people left broken hearted by this. If she continues in this lifestyle she will die, and there has got to be something that can salvage her. ‘There has got to be something she can do. If this can happen to her in two years there has got to be a way back out of it as well. The friend recalled how Davey earned a Postgraduate Certificate in Education at the University of East Anglia and trained as a history teacher at the Hewett School in Norwich. Davey sold her three bedroom semi detached house in Wall Road, Norwich, for £280,000 in July 2017 before she ended up homeless and living in a camper van. The new occupant of the house said Davey had left artwork and memorabilia at the property, alongside drug paraphernalia and needles. The 40-year-old who asked to remain anonymous said she thought Davey was a ‘victim’ of drugs and her new relationship. She said: ‘By the time we moved in everything had been stripped. There was rubbish everywhere and they had abandoned their cats. ‘I just sobbed my eyes out when I saw what had happened to her life… Seeing all the children’s stuff among all the other things from her life made me so upset. To think a life could go downhill so quickly. ‘We could see she did really love her kids because she made them so many things, but it is hard to feel sorry for her when you see the things she left in the house my child could have found. ‘I think she was a vulnerable person and she was taken advantage of, I see her as a victim. The woman said Davey and her partner had three cats when they left. ‘We caught one and gave it to the RSPCA, but the other two disappeared,’ she said. ‘I think she was in arrears when we bought it, but she would still have been left with a big cash sum, maybe around £100,000. Davey was arrested during a 90 day undercover Norfolk Police operation codenamed Cultivate which targeted county lines dealers between March and June 2017. David Teixeira, 19, from London, who was described in court as being the ‘branch manager’ was given three years in a young offenders’ institution at Norwich Crown Court on Monday. The teenager was aged just 17 when he was helping to transport drugs from London to Norwich. Jack Parrish, 26, of Norwich who carried out street dealing on a regular basis as the most heavily involved local drug user was jailed for five years. 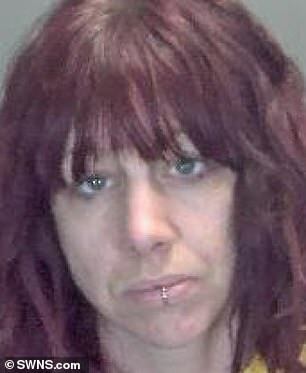 Tara Kelf, 35, who allowed her flat in Suffolk Square, Norwich, to be used as a base and acted as a driver to pick up drugs to fund her own habit was jailed for three years. All three admitted conspiracy to supply Class A drugs. Judge Katharine Moore said the trio had all played a ‘significant’ role in the operation. She added that there was evidence that the phone line used to peddle drugs had sent out bulk text messages to hundreds of users. Teixeira was found to be carrying crack cocaine with a street value of £5,000 when he was arrested with Kelf on the A11 at Besthorpe, Norfolk. 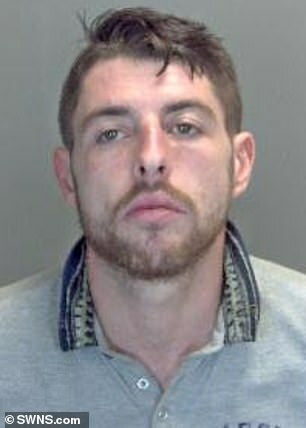 Gavin Cowe, defending Teixeira, described him as a courier, bringing drugs to Norwich. Jonathan Goodman, defending Kelf, said she had a full-time career until she got involved in Class A drugs which led her into getting drawn into the operation. Mr Goodman said she had been vulnerable and was badly beaten at one point when she tried to stop others using her flat for dealing. But he said she was now free of drugs and living with her family and doing voluntary work. Mark Roochove, defending Parrish, said that he had become addicted to heroin but had now kicked his addiction and had made good use of his time on remand. 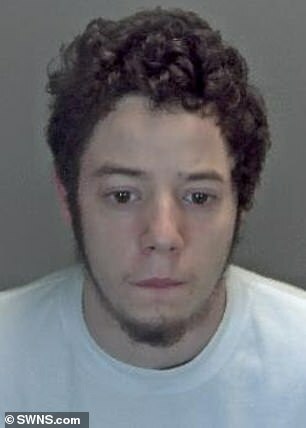 Police say Davey is also wanted for breaching a court order imposed by magistrates on August 9 last year. She also has links in Thrapston, Northamptonshire, or may have travelled to London. 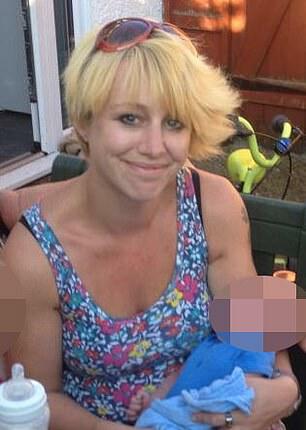 Anyone who may have seen or knows of her whereabouts, should contact Norfolk Police on 101. Alternatively contact Crimestoppers anonymously on 0800 555 111.